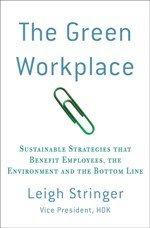 The Green Workplace: Are You Breathing Bad Air? Are You Breathing Bad Air? When I think of sooty air, I generally think of city smog. The EPA recently released a surprising list of "nonattainment areas" - where air pollution levels persistently exceed the national ambient air quality standards. This list contains tried and true sooty cities such as LA, as well as newcomers such as Fairbanks and Juneau, AK; Nogales, AZ. ; Pinehurst, ID; Davenport and Muscatine, IA; Klamath and Oakridge, OR. ; Provo and Salt Lake City, UT; Seattle, WA; Green Bay, Madison, and Milwaukee, WI; and the Logan, UT. You'd think at the top of the list would be older more industrial-based cities...but this would leads me to believe sprawl has a much worse effect on air quality. among a lot of brands you will find always some brands that induce an area on their behalf. Juicy Couture is a such brand. Is Blogging Killing the Environment? Home and Office Improvement Rocks!